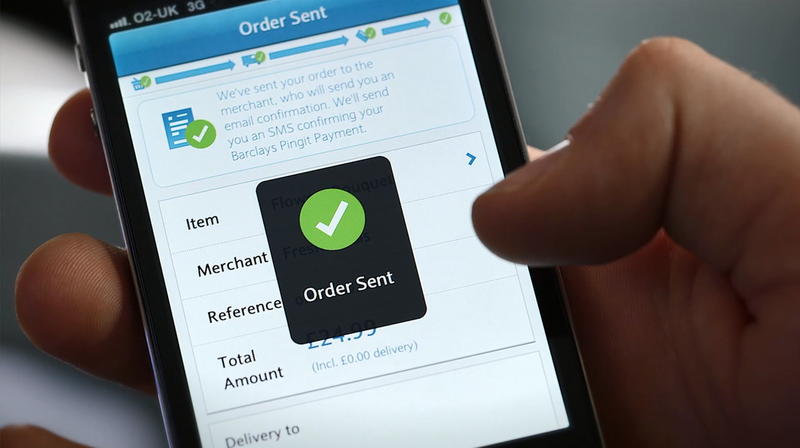 Barclays has announced new features for its mobile payment service Pingit that allow users to order and pay for goods online without needing to enter reams of personal and financial information. The Pingit app itself is nothing new, having launched in Febraury 2012 as a service that allowed users to send money to friends, family or anyone else that’s registered as a UK resident and has a UK bank account – although it’s not restricted to Barclays account holders. 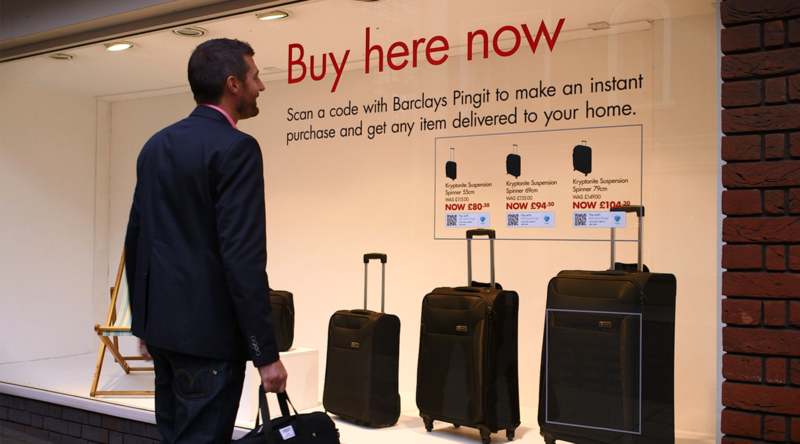 In May 2012, Barclays added mobile payment of bills by simply scanning a barcode to Pingit’s repertoire. Now, the app can also be used for mobile checkout too, providing the site that you are looking at has integrated a ‘Pay Now with Pingit’ button into its payment options. It can also be integrated into native apps for mobile devices. If it has been, all you need to do is press the button and then the Pingit app will open automatically – asking you to input your security code, of course. Then you simply need to check the details are correct and hit the confirmation button. While the introduction of mobile checkout is welcomed (anything that cuts down on data entry on a mobile screen is good by us), the use of this mobile payment option is more likely to succeed with large-scale support from retailers. It’s very similar to the approach of Amazon’s One-Click purchases, but with a few more clicks to enter your PIN code to get into the app. Perhaps the more interesting of the two new features is the ‘Buy It’ addition. Essentially, what this does is allow Pingit users to buy goods by scanning QR codes on physical items like in magazines, on posters or in window displays. Much like the Pay with Pingit option, the Buy It feature has been designed with simplicity and streamlining in mind. So, for example, buying that sweater out of a magazine just requires you to scan the QR code in the ad using the scanner in the Pingit app. Once successfully scanned, as the app already has all of your payment details (and would need to have been integrated with the store’s own systems) all you need to do is confirm the purchase. Naturally, all the product information (price, merchant information, delivery information) is displayed on-screen beforehand and as it’s tied into the store’s services, it can also report on things like stock levels, so you won’t be left in the lurch. Once ordered, a confirmation email and SMS are sent out. The Buy It feature might not seem like much, but removing the need to go though the multi-step process of looking at the sweater in a magazine, searching for the shop online/visiting its homepage, finding the item on the store – and then ultimately checking out (providing you make it that far) is a very smart move. Scanning a QR code and simply requiring confirmation but also allowing to check things like stock levels and change the delivery address is about a convenient as buying goods can be. Imagine the possibilities of impulse purchasing when the QR codes start being displayed on TV ads, which they could well do. Mike Walters, head of the UK corporate payments team at Barclays, told The Next Web that there was no reason that the system couldn’t be made to work without the need for QR codes at all. Instead, it could just recognize the item, however, Walters points out that you’d still need a way of indicating that it was an item or page that could be scanned, which somewhat defeats the streamlined approach Barclays is taking. Once that behaviour of scanning to buy is engrained though, the removal of QR codes probably won’t be far behind, providing it catches on and can attract retailer support. On the surface of it, Barclays looks like it has a battle on its hands with other payment processors (large and small alike) such as PayPal and Stripe looking to win over businesses to become yet another defacto payment method. However, the heft of being an established multinational bank will likely help in its favor. For PayPal to now operate in similar areas, it would need to win over the trust of the retailer (for things like integrating systems and providing banking services) to make the move from payment processor to true mobile commerce. A task likely made all the harder by this announcement. However, with as-yet unknown customers supporting the service from launch, Barclays will need to get as many retailers on board as possible to reach critical mass in order to muscle in on the m-commerce market. Read next: Office, school or government block a website you want to read? Use Google Translate.